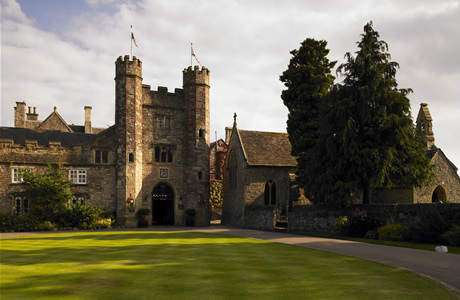 Set in 400 acres of stunning Monmouthshire countryside, the 14th century manor home that is now home to the hotel at St. Pierre is truly incredible. The spacious guest rooms are finished with the finest furnishings, and this attitude has resulted in first-class dining and leisure possibilities. 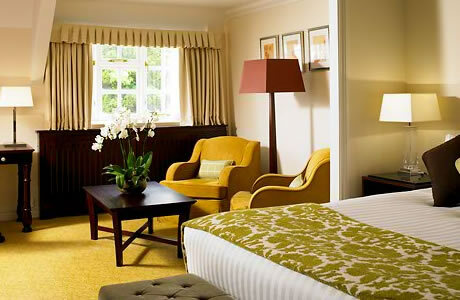 All this is embellished by the fact that the resort at St Pierre is within a short distance of the M4, making it easily accessible for most visitors. The excellent spa facility on-site at St Pierre offers guests the chance to try one of a range of tremendous treatments, including body scrubs and wraps, facials, manicures, pedicures, massages and many more. 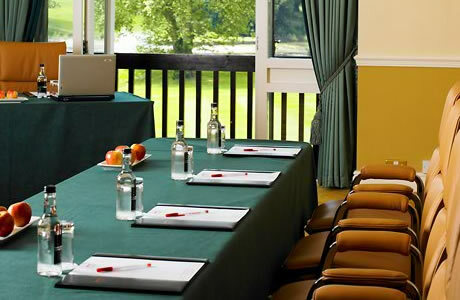 For leisure, try the swimming pool, spa bath, sauna, steam room, well-equipped gym and floodlit tennis courts. 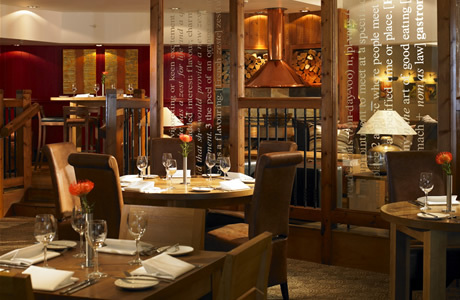 In the Mathern and Panel rooms of Morgans Restaurant, the excellent menu includes both international and Welsh cuisine. Zest serves an all day menu and drinks in a relaxed bar setting. For anyone who loves the game of golf, there are few places that offer such a stunning setting and range of course challenges than St. Pierre Country Club. 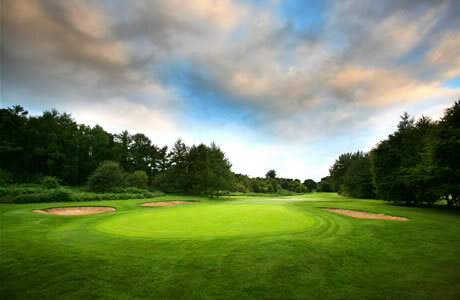 It features two 18-hole courses that wind through some of the oldest and most prized trees in Europe. 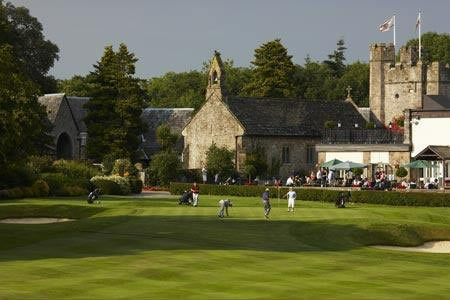 The famous Old Course has played host to many top tournaments from the PGA Welsh Masters to the Solheim Cup and Dunlop Masters. The Mathern Course is shorter, yet presents its own unique challenges. The Old Course, originally designed by C.K Cotton and remodelled in 2008 by Ross McMurray, has played host to a succession of international tournaments, including the Epson Grand Prix of Europe and The Solheim Cup. Designed around an 11 acre lake and lined with century old trees. The Par 72 course measuring 7028 yards will test skills to the limit. The 18th is one of the finest finishing holes you are likely to play. Measuring 235 yards across the edge of the lake, with the 11th century church as a backdrop. A precision shot is required to reach the putting surface. A shorter course than the Old Course, but equally as enjoyable with its stunning parkland design. The shorter length makes it ideal for an early morning game before departure or late afternoon on arrival. 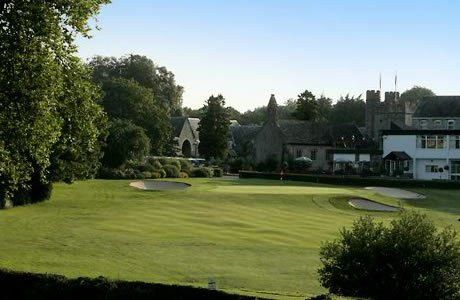 Complementing the Old Course, the 18 hole Mathern Course is a shorter Par 68 course measuring 5730 yards. 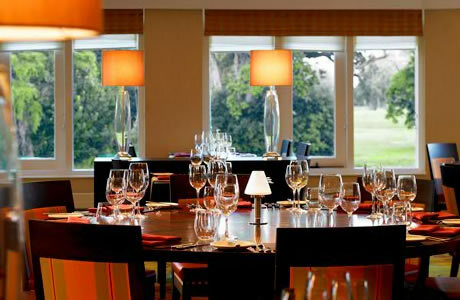 The stunning parkland backdrop makes this an equally enjoyable experience. Whilst forgiving in many parts, a wayward shot can be severely punished with water coming into play on many of the holes. The 18th Hole takes play back to the hotel for a grandstand finish.